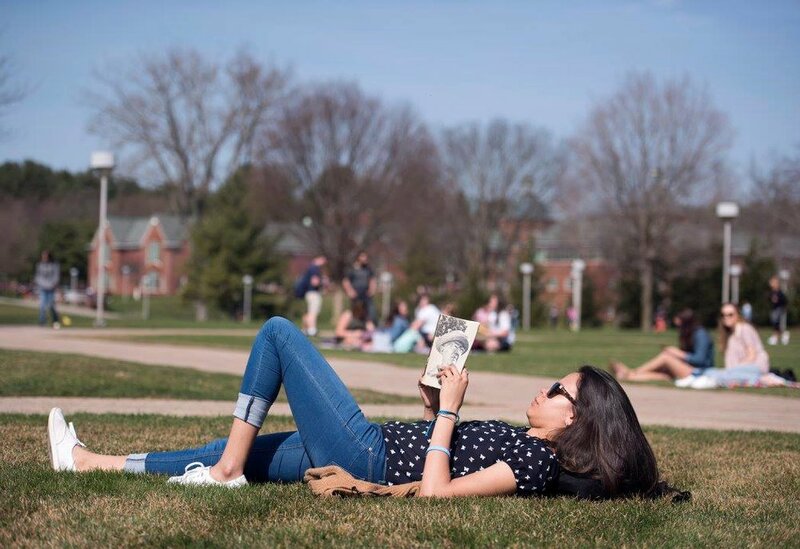 A nationally ranked private university, Quinnipiac has 3 campuses, a college of arts and sciences and 8 professional schools, all set in the beauty and charm of Southern New England. Mount Carmel Campus is where undergraduate students first experience their new home away from home. The quad at the foothills of the Sleeping Giant Mountain is where many freshman and sophomore students live. The University is located midway between New York City and Boston allowing the 10,000 student population to expand their experience in rich and challenging ways. Transportation: The nearest major airport is Tweed New Haven Regional Airport (HVN / KHVN). This airport has domestic flights from New Haven, Connecticut and is 16 miles from the center of Quinnipiac, CT.Another major airport is Bradley International Airport (BDL / KBDL), which has international and domestic flights from Hartford, Connecticut and is 43 miles from Quinnipiac, CT. GO Airport Shuttle Connecticut provides a shared-ride Door-to-Door service between John F. Kennedy International (JFK) - 91 miles away - or La Guardia Airport (LGA) - 81 miles away - and Quinnipiac University. Book hotels and flights here. Stay: Very convenient, the Best Western North Haven is a short distance from campus and the nicest hotel in the area. Off of Interstate 95/Interstate 91 and Route 15 - the pet-friendly Clarion Hotel and Suites is an ideal lodging destination. In New Haven, other good options include the Courtyard by Marriott, and The Study at Yale. Coffee: The Whitney Donut and Sandwich Shop is nothing fancy but students and locals say the coffee and donuts are unbeatable. There is a Dunkin Donuts right in town, also popular with students. Breakfast: Hamden Town House is the go-to for a great breakfast. We hear the Pastrami Nightmare Omelette is a must order. In North Haven, the Breakfast Nook is on every student and parent's list for breakfast or lunch. Lunch: Downtown, on Whitney, Eli's Brick Oven Pizza serves some of the best pizzas and salads in Hamden. Liuzzi Cheese is good for a quick Italian sandwich fix. Additionally, Liuzzi carries close to 500 types of cheese, both imported and domestic with over 20 of their house brand alone! Ixtapa Grill is a good choice for Mexican - for lunch or dinner. Casual: Burgers and salads reign at Eli's on Whitney, a stones throw from Quinnipiac. At intimate Mikro try the chickpeas or the fried cauliflower both being a bite-size house specialty. A Step Up: Upscale, elegant, and modern Luce is located right in Hamden and one of the first places students reserve when their parents are coming to town. The freshest ingredients fill the menu at Cafe Amici, with a bonus of an extensive wine list. In North Haven, enjoy the steak and cozy atmosphere at LongHorn Steakhouse. Worth The Short Drive: Neighboring town, New Haven, is famous for its pizza - if you have time, its worth the 15-minute trip to get a taste of these unusually delicious pies. Pepe’s is arguably the most famous, the first to open back in 1925 and the inventor of the now legendary white clam pizza. BAR a student go-to, is right on Crown Street, just two blocks from the Yale campus. The industrial space is fun with a pool table, and a hipster, industrial vibe. There are many pizza options, but Bar’s mashed potato pizza with bacon is the one to order. When parents are in town, students are quick to reserve a table at Union League, a French-inspired bistro. For a detailed New Haven guide, see our Yale itinerary. Sweets: In New Haven, on College Street, students love Ashley's Ice Cream, open nightly until 11 pm. Order one of the seasonal flavors in a waffle cone and don’t skimp on the bittersweet hot fudge, it’s made of the highest quality chocolates. Local Attractions: Rare book fans allow time for the Beinecke Rare Book & Manuscript Library, one of the world's largest libraries devoted entirely to rare books and manuscripts. There’s great hiking on the Sleeping Giant Tower Trail in Sleeping Giant State Park. Just toured the Quinnipiac Campus? Are you an a Quinnipiac student, parent or Alumni? 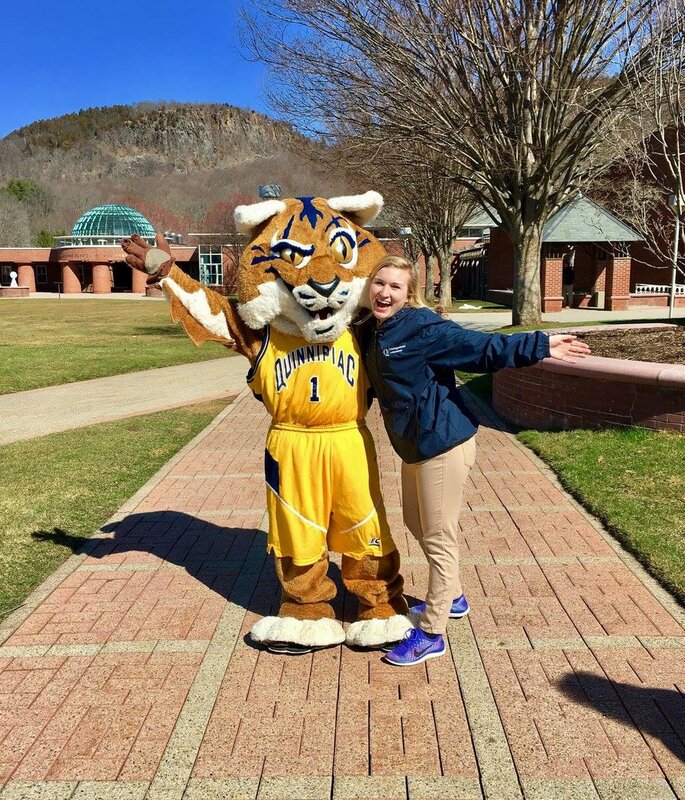 Fill out this 2 minute survey to supplement our Daytripper University Guide for Quinnipiac!